Goodbye messy hands! 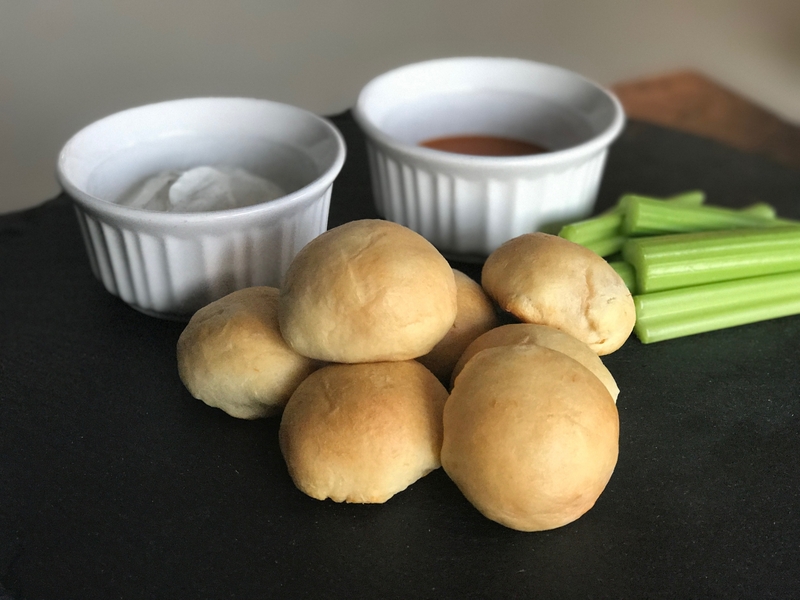 These boneless buffalo chicken bites are tasty and ready to pop in your mouth. It's the perfect appetizer. Combine cream cheese, hot sauce, chicken, and cheeses in bowl. Stir until combined. Line a baking sheet with parchment paper or spray it with cooking spray. Open can of crescent rolls and separate each roll along the perforation. Cut each triangle in half. Place 1 teaspoon of chicken mixture on each roll. Gather the edges of the dough up and pinch them together making sure all the filling is sealed inside. Place the ball of dough seam side down and bake for 11-14 minutes or until golden brown. Serve with buffalo wing sauce or ranch or blue cheese dressing for dipping.